August has been a rough month for me. It's been full of prepping and planning to move, goodbyes, and packing. I'm honestly ready to make it to September in our new house in our new city. But we close on our new house tomorrow, and the end is in sight! This summer a group of my mama friends and I have done a prayer time/Bible study together. We hired a couple of high school girls to watch all the kids in the basement while we pray, share, and encourage each other. It has quite honestly been the best summer I've had as a mom. Normally my summers are long and lonely. This summer, by contrast, has been filled with encouragement and community. We each grabbed a prayer journal to use, and I chose a Write the Word journal. I have struggled over the last few years to get into God's word, and this journal has made all the difference! I'm hoping to write a whole post on this soon, but wanted to point you all to this fantastic resource. I have the "Cultivate Prayer" journal, but there are several different ones. Don't laugh! A friend told me that you can measure your well-being by how many showers you take a week. I have found this to be true! When I take a few minutes to take care of myself, I feel so much better about my day and my life. I'm finding that with so much happening in our lives, I need to be able to take a few minutes for me. Ebooks and audio books have allowed me to do that this month no matter where I am or how much time I have. This month I have listened to Girl Wash Your Face (loved it) and What I Saw and How I Lied (almost finished, okay but not great). 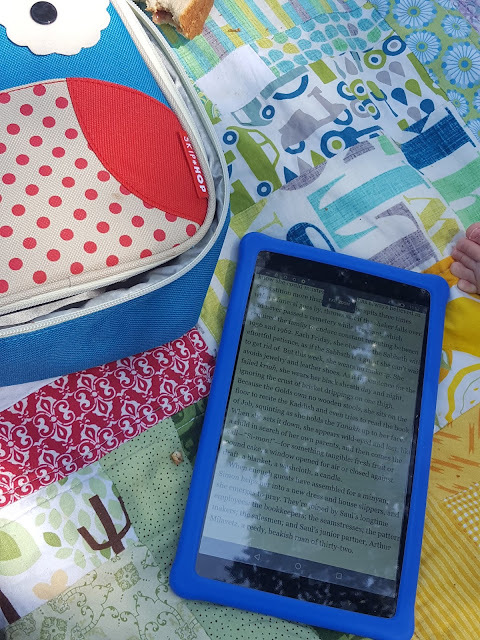 I've read The Immortalists (didn't love it) and I'm currently reading (and enjoying!) The Lost for Words Bookshop. Friends, in God's graciousness, Ben's new job is hiring movers for us. *angels sing* Words cannot express how thankful I am for this! I feel like a giant weight has been lifted off my shoulders. I am hopeful that our move will be less stressful than I anticipated. What about you? What are you loving this month? In nine days, we leave Colorado for our new home in North Carolina. Can I be honest? I am totally, completely, monumentally stressed out. When I imagined our cross-country move, I saw a well-ordered plan. Everything would align perfectly! (I know, I'm laughing too.) Instead, it feels like every single thing has gone awry. Our house has not sold, so rather than packing, I vacuum 500 times a week for showings. Eli's school unexpectedly began in July, so he's missing over a month of first grade. Our moving plan has changed a couple of times, so we do not have a truck ready to ship our stuff yet. YOU GUYS I'M LOSING MY MIND. The worst part, honestly, is that I am not handling this well. In my mind I am calm, cool, and collected. Instead, I am yelling at my kids to keep our house clean. I've gained weight and constantly have a stomach ache that's making me look 4 months pregnant. I'm not sleeping well, so I drag myself through each day on naps and caffeine. Every time I think about leaving our amazing community here, I want to curl up and cry. Change is hard. It's hard to uproot your life and start fresh. For some reason, I imagined that if we were making the right choice, everything would be easy. I thought that by following God's leading for our family, the details would fall into place. The truth is that God IS leading us. We feel so strongly this is the right choice. Ben will be home with our family more. We found a beautiful home with the large yard we've been dreaming of. We are moving to a darling little town. I find I get lost in the stressful details and miss the big picture of all that God is doing. 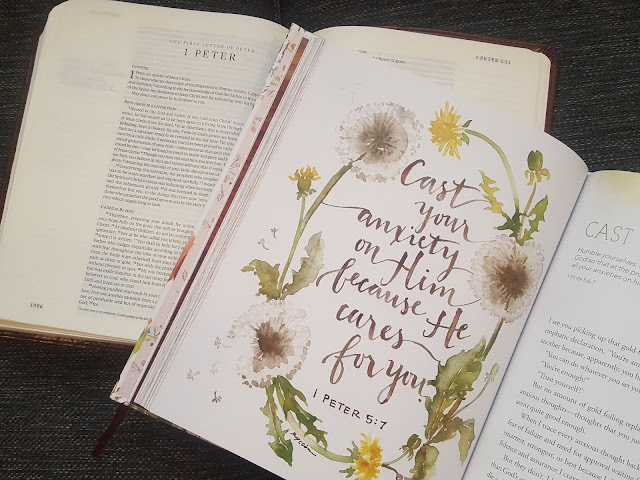 I'm holding on to 1 Peter 5:7 today, which says "Cast your anxiety on Him because He cares for you." My time with Jesus is grounding me in the midst of our storm. I cannot keep going without Jesus, and I need him so desperately right now. I find it's so easy to forget that. So as you read this today, will you pray for me? Pray I find my strength and calm in Jesus, not in what is going on around me. And soon, so soon, we will be moved in to our new house, in a new chapter of our lives. It will be beautiful and amazing. We just have to get there first. My favorite moment on a Monday morning is sitting down with a cup of coffee while my kids play. Sometimes I read, or get through some emails, or just sit and watch them. When I write it down it sounds so perfect! But really, it's me reminding the big kids 200 times to play nicely, to stop jumping off the furniture, not to hit each other. It's wiping away tears and teaching my kids how to apologize. It's putting the baby down for a nap, then reheating my coffee again. Isn't it funny the way life can look different depending on the lens you look through? I often imagine other women have a more glamorous life than I do. I think, "How amazing to go to work every day and interact with adults!" or "That mom has a perfect, put-together life with her kids." The reality is that each of us has struggles, challenges, and really beautiful moments in our lives. As I sit here, I realize that what I struggle with most is my perspective. I imagine my life is somehow worse, or more difficult, or less glamorous than everyone else's. I get trapped in self-doubt and anxiety. What I'm praying for today is a new perspective-- one rooted in the truth of God's word. He promises that his mercies are new every morning and that his faithfulness is great (Lamentations 3:23). When seen through the vision of Jesus's love for me, my morning becomes a gift to celebrate. I want to see my whole life through a gratefulness that stems from Christ's sacrifice for me. Often, I do not. I get bogged down in my own selfishness and struggles. I know the only way to change this is to be more deeply rooted in God's word and spending time with him in prayer. And so that is my Monday goal: not to get the house clean again or keep the kids alive (although I'm going to do that too!) but to spend time with Jesus. Cheers to a real Monday, enjoy your day-- the good parts and all the hard parts too. 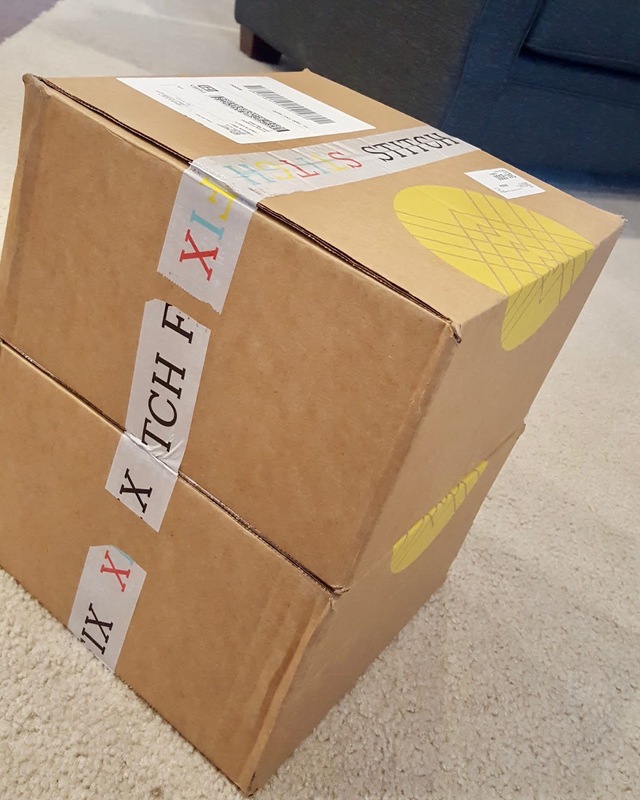 Stitch Fix is a subscription service that mails you a curated box of clothes in your size-- it's a fun way to find new styles and try out items you may not find at your local stores. I've used it a couple of times, and last month I got a box I absolutely loved! 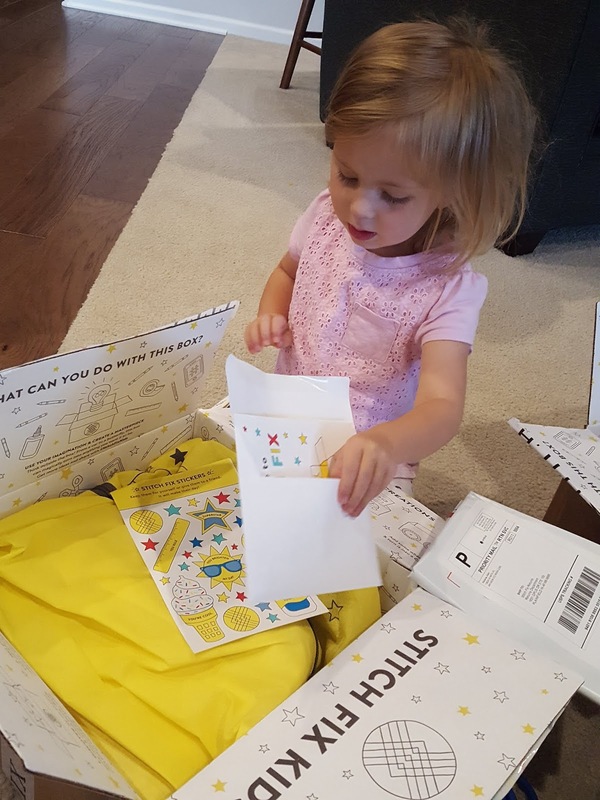 Recently, Stitch Fix added a kids subscription service for sizes 2T to 12. Both Eli and Tessa needed new clothes for school so it seemed like the perfect time to give it a try! This review is my honest opinion-- I was not compensated in any way. If you do click my Stitch Fix link, though, you can get $25 off your first fix and I will get a referral credit. Kids clothes shopping is exhausting. Taking all three kids, plus all their begging (no I won't buy you six Star Wars shirts!!! ) makes me a little crazy. It was so nice to have their clothes delivered to my door. Eli and Tessa both got their own box with 10 items. The way Stitch Fix works, you pay a $20 styling fee that is applied to any items you keep. If you keep the entire box, you receive 25% off the order. 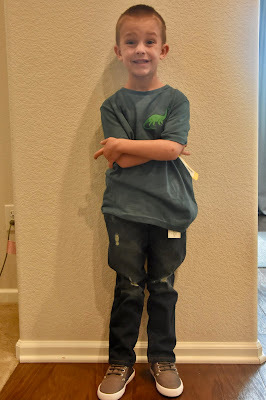 Eli's box was a good mix of graphic t-shirts, athletic wear, and a jeans/shoes/shirt combo for school. He was really excited about it all! I didn't love some of the graphic tees (a big complaint I have about boys clothes in general) and about half of it was too big on him. I always forget how little my kids are! 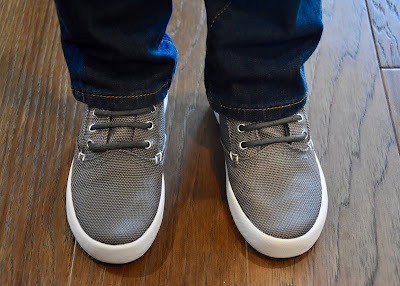 His box was also priced a little higher-- it included a pair of jeans for $38 (he's wearing them in the picture above). He ended up keeping a t-shirt and the shoes. Tessa is 3 and wears a size 3. I ordered size 4 so I could have clothes for her to grow in to. You know what I forgot when I ordered Tessa's box? How specific her style is. You guys, her box came with some darling pieces: two cute dresses, fun leggings and shorts, adorable shirts. I honestly would have kept the whole box! 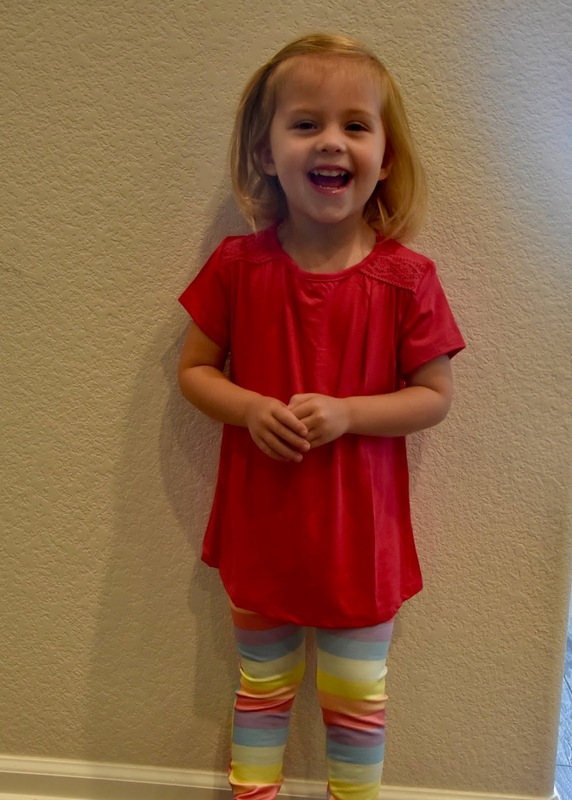 But my sweet Tessa-girl likes solid colored shirts and leggings. 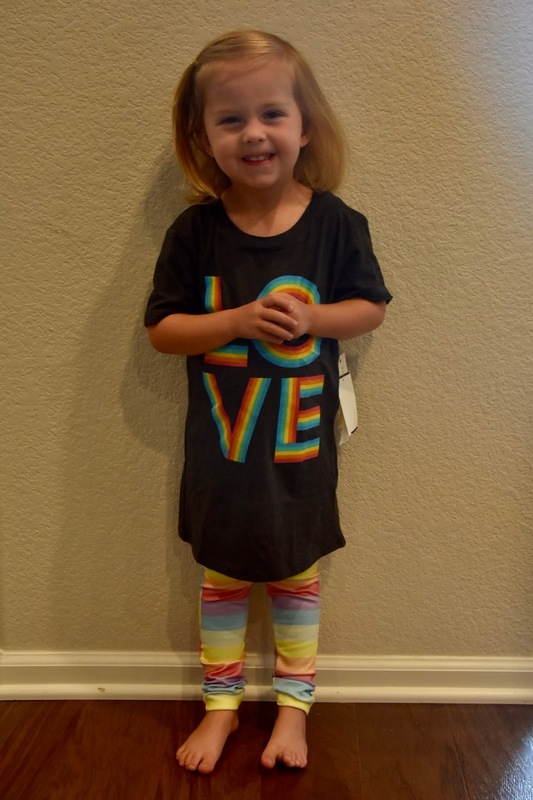 I managed to talk her into two shirts and a set of leggings, but she flatly refused the rest. 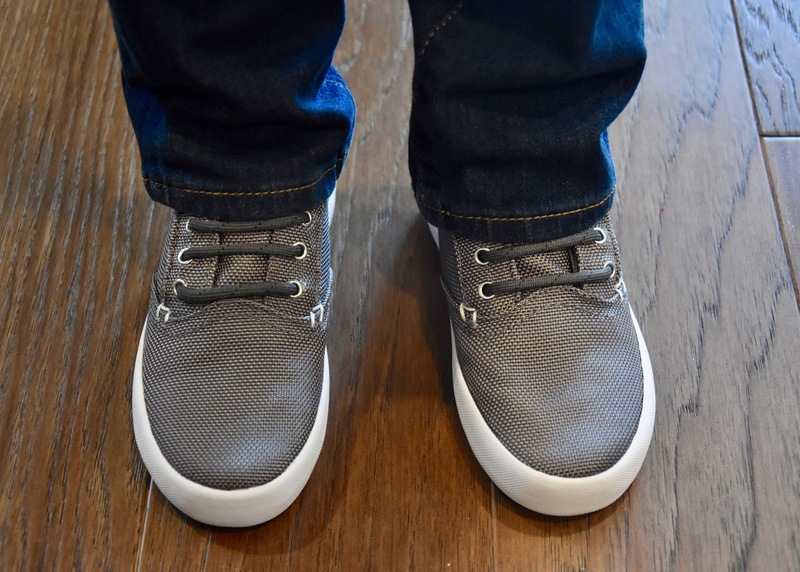 Having the boxes delivered to my door for my kids to try on at home was fantastic. I loved that I had time to go through the clothes, have the kids try them on, think through what each child needed, and then keep items right then. I also love that the boxes come with a pre-paid shipping label to make returns easy. Another fantastic feature is their exchange option. One of Tessa's shirts was huge on her, so I was able to exchange it for a smaller size at no extra cost to me. I thought the girls clothes were particularly cute. If Tessa wasn't so picky I probably would have kept the whole box. And with the 25% discount, the box was around $130 which seemed fairly priced for 10 items. My favorite item from Eli's box were his shoes. They were classy but still casual enough for everyday wear. 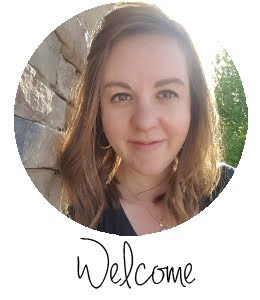 I never would have found them on my own, and that's what I love about Stitch Fix! The clothing in both boxes was incredibly soft. I know many kids are picky about how their clothes feel, and I thought Stitch Fix really delivered on soft, comfortable kids clothes. Both boxes came with stickers, a note written directly to the kids, and pictures inside the box to color. Tessa was especially delighted by this! While Tessa's box of clothes was reasonably priced, I thought Eli's box was expensive. The athletic wear was around $25 per piece and the jeans were $38. As a six year old boy, Eli is super hard on clothes. I am absolutely not going to pay top dollar for him to ruin his clothes the first week of school. I am incredibly picky about graphic tees. I find I don't care for many that are in fashion now, and that was true in Eli's box. There is an option to check "no graphic tees" but my kids do love them. I think I need to be more specific next time on what I like and don't like. When you have a kid like Tessa with a very specific sense of style, this type of box may not be the best fit. While I loved the clothes, she was not interested in wearing them. This is the shirt I'll be exchanging for a smaller size. Would I order another Stitch Fix box? Probably yes! My word of caution (to myself and you!) is to be as specific as possible. I also think that while I didn't keep either box in its entirety, the pieces I did keep were worth it. I'd pay the $20 styling fee again, knowing that if I buy 1-2 items it is worth it. For Tessa in particular, I think I will order another one when I'm ready for her to have some nicer clothes for school or church. While she is picky, I do love little girl clothes and hope to help her broaden her style as she grows. 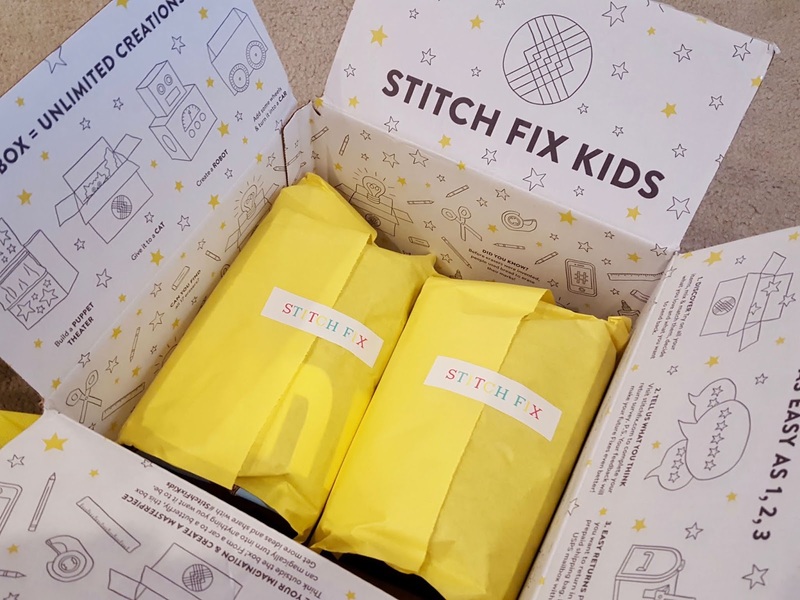 If you try a Stitch Fix kids box, let me know what you think! I'm finally sitting down tonight after a long day in a long week with my kids. Ben has been out of town almost every night this week. Our house has been on the market for four weeks, in a city where selling a house usually takes a weekend. I am exhausted. I am so tired of keeping our house perfectly clean and juggling three kids all by myself. I've been especially frustrated this week because the whole point of this move is so that I don't have to do it all anymore. I keep hoping an adult will step in and say "It's ok, let me take care of this for you." And then I realize, I'm the adult. As Ben and I have prayed through this move, we have intentionally set aside both of our striving and goal-driven ideals to do what is best for our family. We are stepping out of what is comfortable and our need to be perfect. We are choosing to raise our kids in a way we believe will serve them well throughout their lives. But after so much prayer and agonizing decision making, we stand here. Ready to go, plans in order. But our house hasn't sold. Some of our plans are looking different than we expected. I assumed following God's lead for us to move across the country meant everything would fall in to place. I assumed it would be a perfect move. Instead, I'm desperately trying to keep our house perfect while I fall apart. Isn't it funny how God uses specific life events to teach us lessons? Here I am struggling with perfection in the midst of literally struggling for perfection. I cannot keep my house pristine and still be a sane human. I also cannot keep my life flawless in every area and have a healthy soul. In a whole new way, I'm seeing that I desperately need God's grace. He has called me to holiness through the blood of Christ, not perfection. Those two are vastly different. And so I pray, I dig into His word, and I daily moment-by-moment ask for His grace in the midst of my gaping imperfections.